It is my pleasure to warmly welcome you to our website and wish to thank you for spending your invaluable time with us. SISCO was established in 1988 as a public joint stock company listed in the Saudi Stock Exchange Market (Tadawul). The company was founded in the early years to provide general support services to national industries in various industrial cities in Riyadh, Jeddah and Dammam. Those services covered diverse sectors such as catering, medical care, automobile service stations, and potable water for industrial facilities. The nature of SISCO’s investment in large-scale capital infrastructure projects, coupled with activities of its subsidiaries, makes it a rewarding long-term investment opportunity for shareholders, investors and potential stakeholders. The company has a solid balance sheet with an impressive track record both financially and operationally. With a clear strategy moving forward, we are proud of all our affiliate and associate companies as they perform in accordance to their business plans and targets, delivering results which are contributing positively toward SISCO’s long-term ambitious objectives. We continuously strive to grow and expand our business through well-structured growth plans and by evaluating new potential opportunities; preserving balanced investment in key markets to achieve diversified and sustainable results. We invite you to look at our Annual Board of Directors’ Report to learn more about our portfolio, performance and capabilities. My colleagues and I will be delighted to hear from you, should you have any inquiries and/or comments. 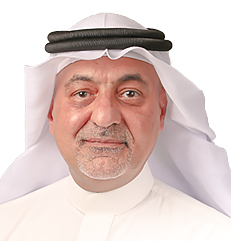 Engineer Mohammed Al-Mudarres is the CEO of Saudi Industrial Services Co. (SISCO) and serves as Board Member on all SISCO subsidiaries and associate companies. He began his career in the area of his specialty (Electrical Engineering) more than 25 years ago. He gradually escalated to various management and executive positions over the course of his career in a number of local and international companies. Most notably, he served as the General Manager of the Power Generation division in SIEMENS Saudi Arabia, based in Al-Khobar, and later as General Manager for STORK Cooperheat Middle East, based in Dubai. Mr. Al-Mudarres also serves as Deputy Chairman of the Saudi-German Business Counsel, under the Saudi Chamber of Commerce in Riyadh, KSA. He has been a member of various international and professional organizations among them, the Project Management Institute, IEEE and the American Society of Non-Destructive Testing. He holds a Bachelor’s Degree and a Master’s Degree both in Electrical Engineering earned respectively in 1985 and 1988 from the University of Colorado, USA. He has also completed several short trainings in professional and management courses during the course of his career.